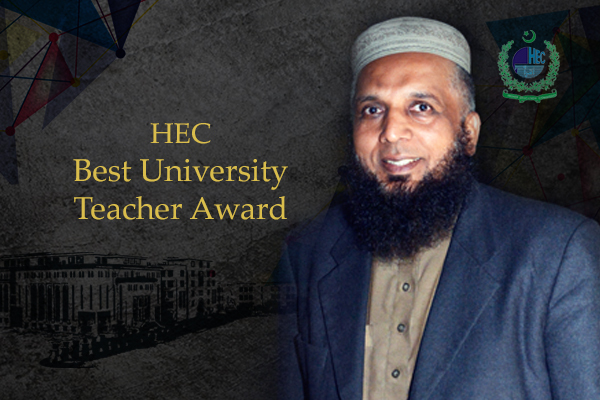 It is a source of great honor for the UMT community that the Higher Education Commission (HEC) of Pakistan has conferred Best University Teacher Award 2016 upon Dr Muhammad Aziz-ur-Rehman, Associate Professor, Department of Mathematics, School of Science (SSC) at UMT. The award, which consists of a certificate and cash prize, will be presented in a special ceremony scheduled to be held on February 21, 2017 in Islamabad. The UMT community congratulates Dr Rehman for achieving this distinction which is a recognition of for dedication and commitment towards the teaching profession.